I apologize for my absence but the blog is back up and running! The best way to celebrate it is with with an outfit post! Each winter season I seem to have this one particular go-to hat that I cannot stop wearing. Last year it was the famous Carthartt hat and this year it is my helsinki hat! One thing that I really like to do, is browsing through online webshops. I have been obsessively browsing through Korean webshops and one thing that kept coming back was this big knitted beanie in all different sizes and colors. I lost all hope when I learned that even on Ebay they sell it for 50$. However, on one casual shopping day, I found this sucker in H&M. Needless to say, I bought it in every color they had! Cropped long-sleeved top are really part of my everyday outfit nowadays. There is something so fashionably simplistic about them that I just cannot refuse to buy a bunch of them. I just paired it with my trusty black pants, black boots and my new helsinki hat. 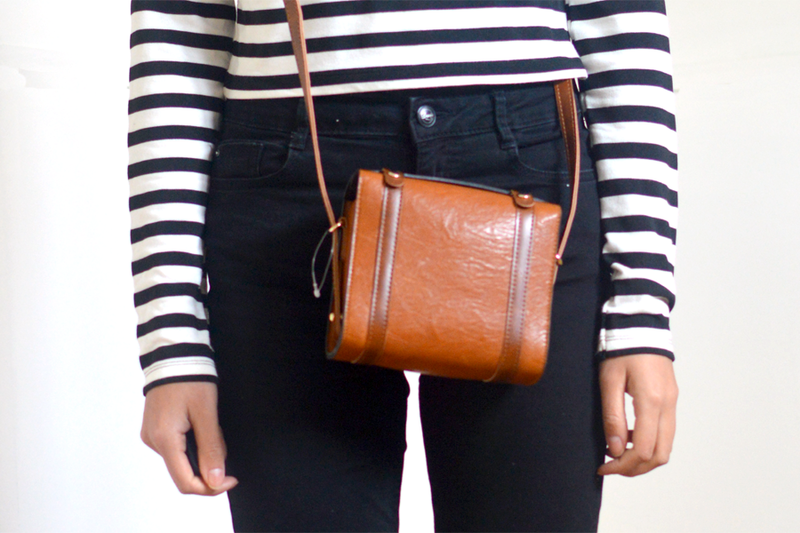 This outfit may not be the most special outfit, but casual goes a long way! Die muts is zalig! En inderdaad: die crop top met lange mouwen is echt wel fashionable en toch niet te over nagedacht. Leuke outfit! 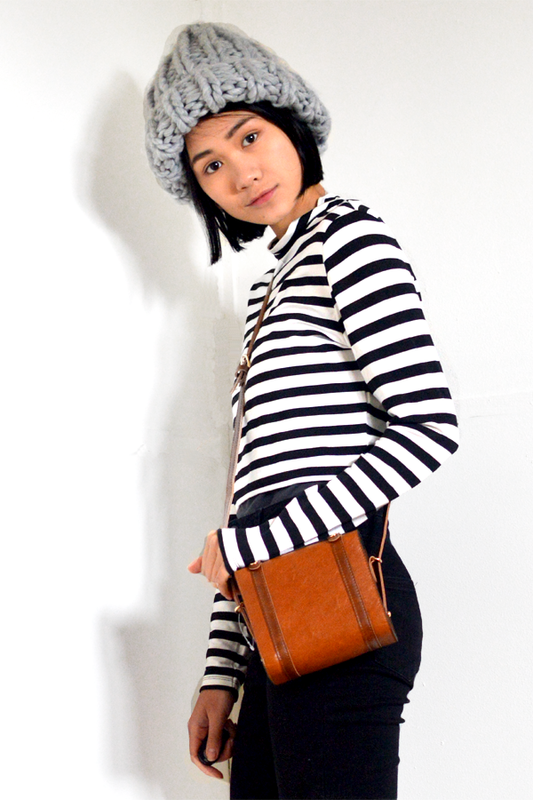 Lovely striped top with that vintage bag! Gorgeous look Monica! These pictures are so cute! I love your sweet little bag. You look adorable! Love the cute beanie and the cool booties! Hello Monica, i love this look and the hat is so cooool ! u look amazing plus I loveee your boots! !